This week I had such an enjoyable time with John Goldingay as we talk about his new Old Testament translation project as well as how to read and understand the Bible. SONG: “Bless The Lord“ by Alisha Powell. Get a free trial by going to the website. This is a GREAT tool for Reformed churches to help with membership and all that it entails. Highly recommended! If you enjoy this podcast, please rate and review us on iTunes so that more people can discover this podcast. Also, please consider supporting the show (and getting rewarded for it!) 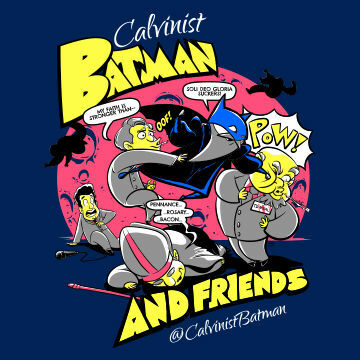 by going to http://www.calvinistbatman.com . Thank you for being a fan of the show!